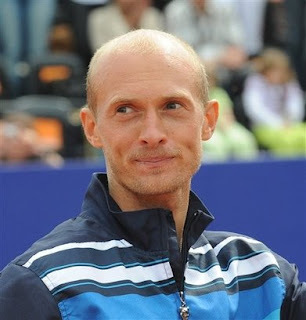 Russian tennis star Nikolay Davydenko was cleared by the ATP after a yearlong investigation into suspicious betting patterns on a match he lost to a low-ranked opponent. The governing body of men's tennis said it found no evidence of wrongdoing by Davydenko, opponent Martin Vassallo Arguello of Argentina or anyone else associated with their match in Sopot, Poland, back in 2007. "The ATP has now exhausted all avenues of inquiry open to it and the investigation is now concluded," the association said in a statement. Davydenko, then ranked No. 5, pulled out of the match against the 87th-ranked Vassallo Arguello in the third set, citing a foot injury. Betfair, an online bookmaker, voided all bets on the match. It received about $7 million in wagers on the match, 10 times the usual amount for a similar-level match. Most of the money was on Arguello, even after he lost the first set. ATP investigators spoke to Davydenko, his wife and family members and reviewed telephone records. This summer, Davydenko said he may have inadvertently tipped off bettors by talking too loudly about his injury to his wife during the tournament. Davydenko, now ranked No. 6, has always denied any wrongdoing and expressed confidence he would be cleared. The ATP said it interviewed "a number of individuals involved in the match" and reviewed betting account details of those who wagered on the match. It also reviewed phone records from Davydenko, Vassallo Arguello and their support personnel. However, "certain individuals" declined to provide phone records, the ATP said. Some records eventually were turned over but they had been destroyed by telephone companies in line with data protection laws, the ATP said. Speaking at Wimbledon this year, Davydenko said Russian spectators might have overheard him talking to his wife and entourage in the stands at the Sopot tournament. "Everything was going on. I spoke in the center court with my wife ... (in) Russian," he said. "Maybe it's possible, if I can say something, 'I don't want to play or I can retire.' ... some people can understand." That sort of inside information could have sparked the flood of telephone or Internet betting. A string of players has been punished for betting violations this year. Last month, France's Mathieu Montcourt was banned from the tour for two months and fined $12,000 after being found guilty of betting on matches. Doubles specialists Frantisek Cermak and Michal Mertinak were suspended in July, and five Italians have also drew similar bans. Other players have said they were approached by people trying to influence a match. Under new guidelines, players are required to report any suspicious contact from gambling syndicates within 48 hours. Sanctions include life bans for players found guilty of match fixing. Players, their families and entourages also could be banned from betting on matches.